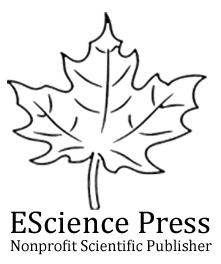 Why Publish with EScience Press? Publishing your scientific ideas with EScience Press, you will engage in a partnership with a team of skilled publishing professionals who support your vision and can offer expert guidance on how to turn your idea into a successful published reality. EScience Press combine centuries of traditional publishing expertise with innovative ideas, technologies and platforms needed to serve a diverse, fast-changing community in research, academia and industry. As well as publishing in print, our new books are all optimized for delivery in a variety of electronic formats, including publication on the leading full-text scientific databases. EScience Press has a long-standing commitment to quality, accuracy and reliability in editorial and production activities, and the global sales and marketing reach to ensure your book is available and discoverable to the readers who need it across the globe. Every author, whether they are first-time or not, is required to submit a proposal for the new book idea. The new book proposal should contain book title, summary, a concise description of the book with rationale, key features, table of contents, chapter outlines, length of the book including notes and bibliography, number of illustrations. Is the book idea meets the standards of the quality book publishing? Are the content at a suitable level and high standard? Is there a commercially-viable market for the book? What evidence is there for this market? What is the readership for your book? What is the level of the readership (student, graduate student, professional practitioner etc)? Does the book fill a gap in the existing subject knowledge? Does the book fill a gap in the market? What evidence is there for this gap? Is there international potential? Where? Why? Are there other ways to optimize your intellectual property? How will you, the author, help us promote and raise the visibility of the title? EScience Press will write to the authors the outcome of the proposal evaluation. Subject editors at EScience Press will make suggestions that the author might want to consider should we feel that there is potential but that the proposal requires development or adaptation to meet our publishing criteria. EScience Press also offers book printing services to the publishers at an affordable comptetive rates.